Dispatch | Romi Garduce’s Book Launch for Akyat! It was back in 2006 when I first met Romi Garduce when we did a feature on him after his climb to the 8000-meter high Mt Cho-Oyu. He was already making waves then to the mountaineering community for his announced attempt to climb Mt Everest, which at that time, no Filipino has ever done before. He was simple, unassuming and with the occasional witty remarks. Seven years later, after climbing the world’s 7 Summits including Mt Everest, being part of the TV Show Born to Be Wild and other slew of accomplishments, he still feels the same, unpretentious with some witty remarks here and there. Adding another glory to his cap is the launch of his book “Akyat! 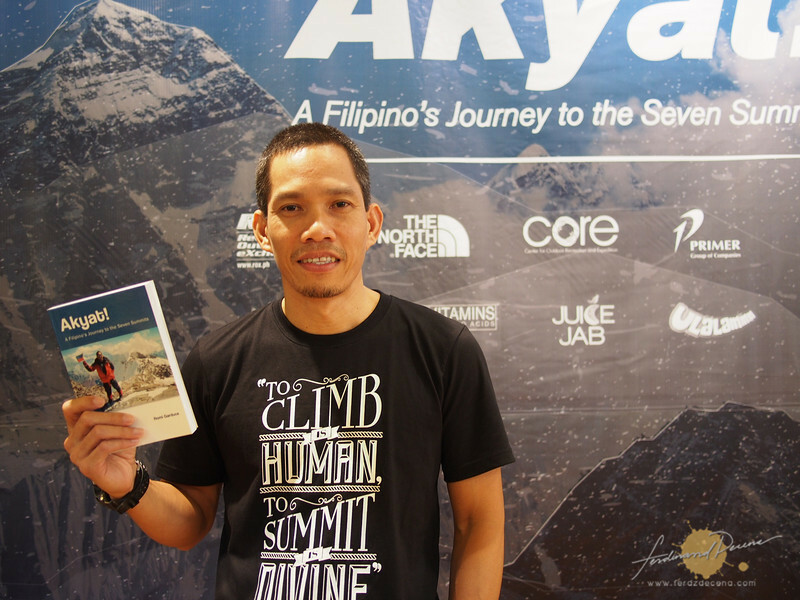 A Filipino’s Journey to the Seven Summits” (which means Climb! 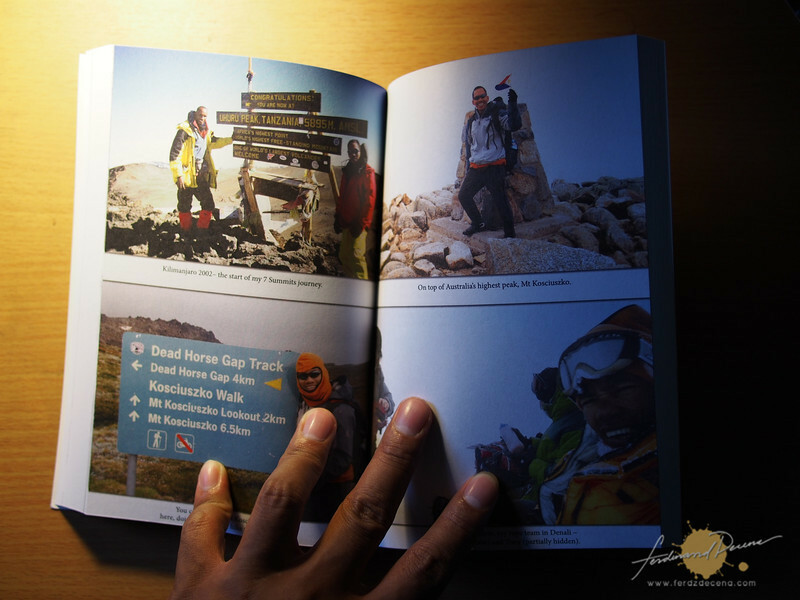 in English) which tells his story of his journey to the Seven Summits which includes the behind the scenes challenges he had to face. My signed copy of the book Akyat! I have always wondered how Romi would write this epic story. He was quick to point out though that he is naturally not a writer. “Writing this book was as hard as climbing Mt Everest” he said as he shows the 300-page book with some color insets with photos. He was honest to say that he had to work with 3 editors just to finish this book but is grateful for the help including his sponsors for its completion which he started during his everest climb. I personally haven’t read the book yet but I read the first few paragraphs which is very crucial to me in every book I’m interested in to read and “Aklat!” showed good promise. Camp 4 South Col. Mt Everest, ~26,000 feet above sea level. The night was cold, windy and unimaginable miserable. Even inside the tent, the numbing temperature, the piercingly cold wind, the thin air didn’t allow us to sleep or rest properly. I was still tired from the hike, and I didn’t seem recharged a bit. The airstream’s constant howling and whistling demoralized even the veteran climbers among us. Simple acts like eating or putting one’s boots became unusually hard and tricky. Even breathing becomes difficult. 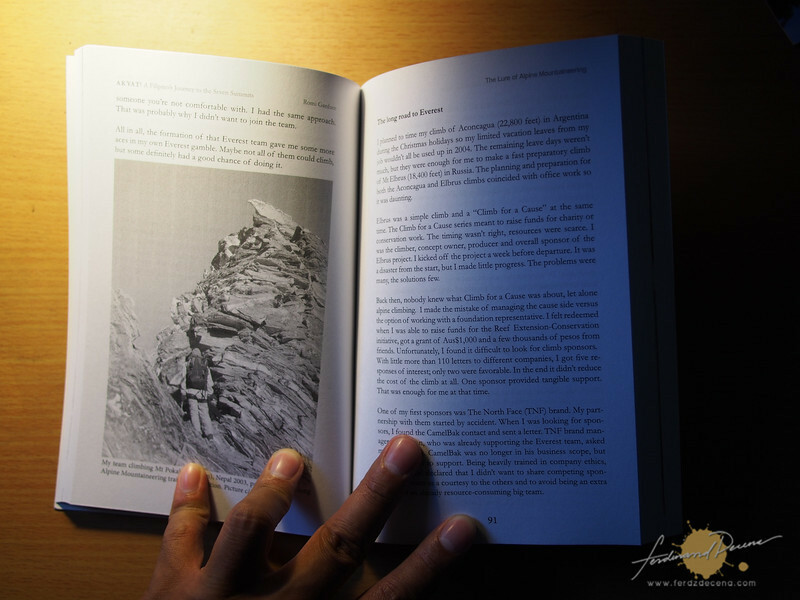 I think it’s about time a book on climbing would be written by a Filipino. Will let you know what I think of the book ones I’m done reading. 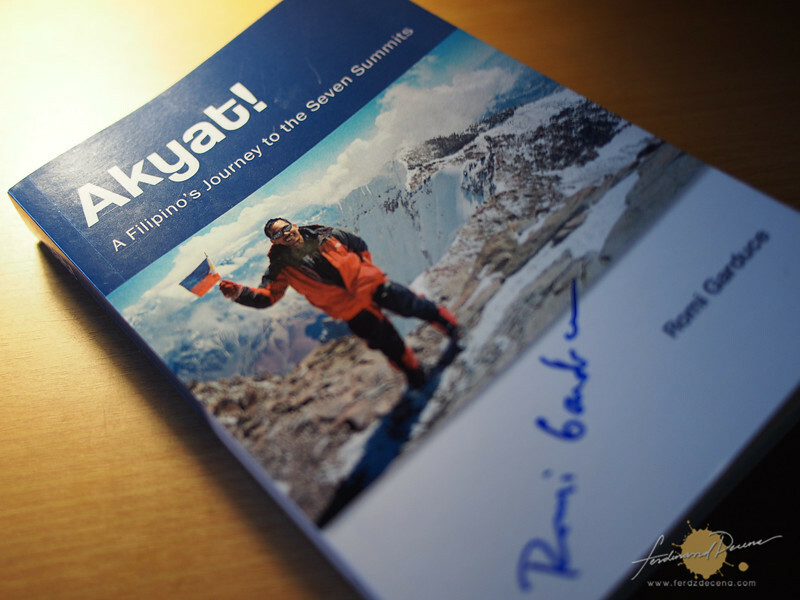 Romi Garduce’s book “Akyat!” A Filipino’s Journey to the Seven Summits, is available at ROX (Recreational Outdoor eXchange) Stores and Central Bookstores and retails for Php 499. A few colored pages in the book.